Content from "CANNERY ROW, The History of John Steinbeck&apos;s Old Ocean View Avenue" and The History Company featuring archival photos from the Pat Hathaway Collection, Monterey. You probably know something of Monterey&apos;s Cannery Row. 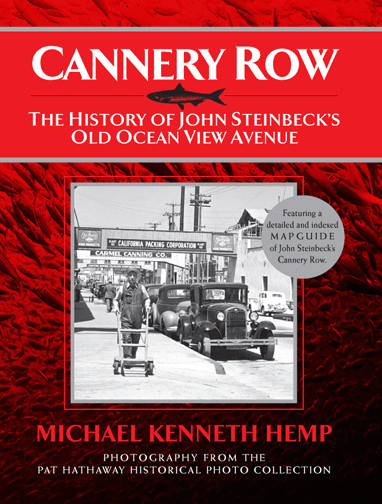 You could have read Steinbeck&apos;s classic 1945 novel "Cannery Row" in school at some level, or seen the quirky 1980s MGM movie by the same name starring Nick Nolte and Debra Winger. And, more than likely, you have garnered some awareness through news articles, travel media, and perhaps even from stories in your family of someone who canned fish or knew Monterey in the old days. Beyond that, I know that you have probably been here before-perhaps frequently-as an independent traveler or attending conferences and meetings in Monterey. In doing so, you&apos;ve probably picked up some information about the Row "first hand" from locals, yarns of the Old Row from all kinds of hopefully believable sources, and a plethora of published fables from the Row&apos;s storied past. And yet for some, this may be the first time you&apos;ve had a quick but authoritative checklist of what you thought you may have known about Monterey County&apos;s most popular visitor destination: Cannery Row. So, for now, suspend your memories of the great meals you&apos;ve had on the Row, the misty mornings and magic twilights, otters, and coastal scenes you&apos;ll have with you forever that might divert your attention from a few special facts that will make you a Cannery Row expert of sorts. Don&apos;t be at all surprised that what you are about to discover has yet to be evident to some of our locals. So, here are 10 things that you-and many locals-may not know about Cannery Row, seen through the incredible archival photos of the Pat Hathaway Collection in Monterey. 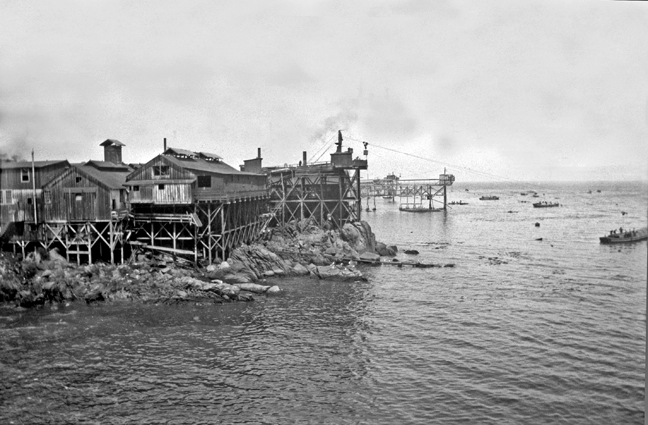 What was the original name of the street known as "Cannery Row"? Until January, 1958, it was named Ocean View Avenue--but known to the world through its entire ascent to becoming the "Sardine Capitol of the World" as Cannery Row. 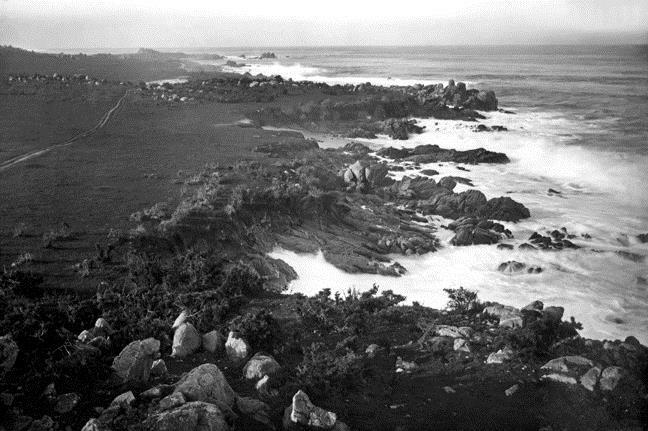 It started as wagon ruts from Monterey to China Point and Pacific Grove in the late 1800s. 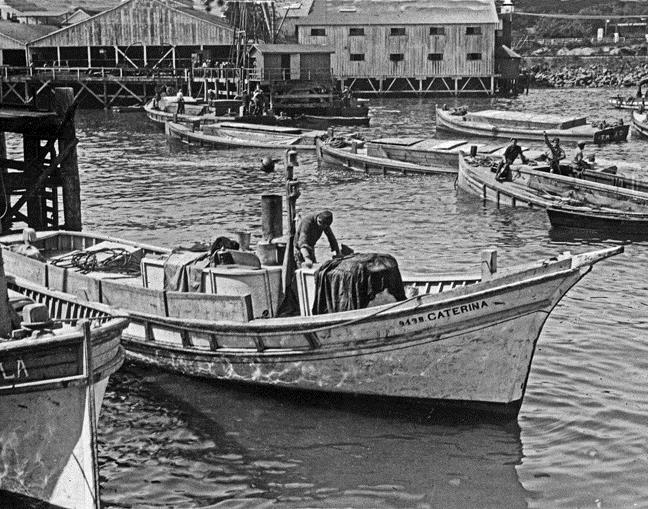 Cannery Row&apos;s sardines were 9 to 11 inches long-not the finger sized sardines so popular from the Old Row&apos;s most formidable competitor, Stavanger, (and the rest of) Norway. Their size actually required them to called "Pilchards" to qualify for international trade. 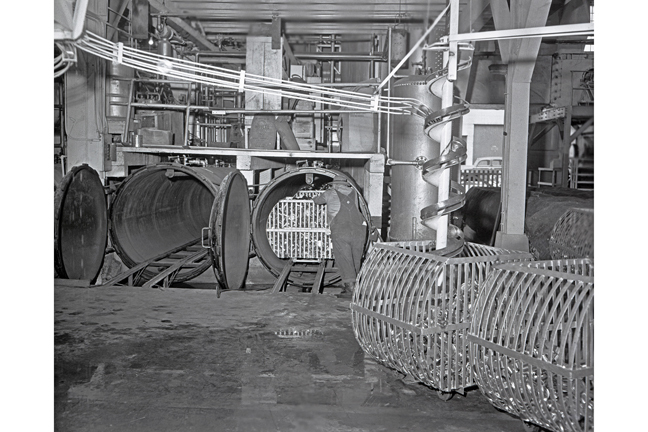 Cannery Row&apos;s icon, the famous one pound oval sardine can, was originally designed for salmon, and made by hand on rudimentary industrial equipment in canning sheds of Monterey&apos;s early canning industry. Monterey&apos;s oval sardine can become world-famous by feeding armies and allied nations at war in WW I, and again in WW II. Monterey, the "Sardine Capitol of the Word"...this may be hard to swallow, but the truth is that Norway ate Cannery Row&apos;s lunch all but one year at the peak of World War II. 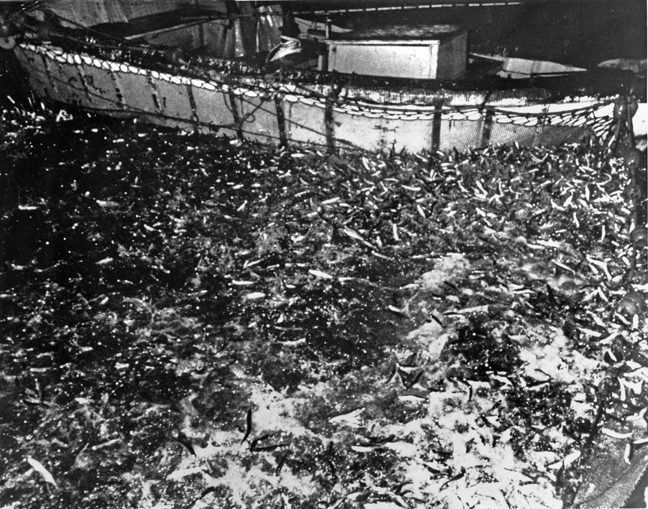 The entire North Sea fishery and most of Europe&apos;s was disrupted for the second time (it happened previously in WW I) when the world turned to the American West Coast sardine industry--especially at Monterey--for a plentiful and inexpensive high protein food and ration to feed the world at war. Can you see how some history is essential to this fish story? The fishing industry at Monterey was mastered by immigrating Sicilian fishermen who used the "lampara" net from their Mediterranean experience and their famous "Monterey Clipper" open-boat design to catch the tons of Monterey&apos;s illusive sardines at a rate that could sustain the growth of Monterey&apos;s early canning industry. The clippers were replaced in the late 1920s and early 1930s by larger, modern purse-seiners, able to deliver a quarter million tons of the "Silver Tide" in a half-year season to Cannery Row. How do you find sardines in an open ocean before sonar and modern technology? 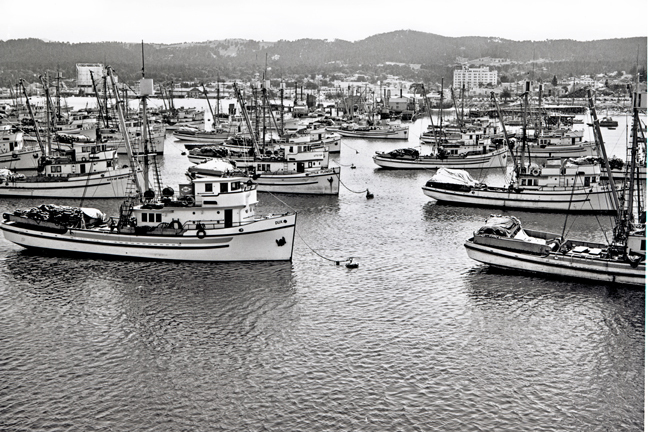 It may be hard to imagine, but the sardine fleet at Monterey that occasionally exceeded 100 purse seiners in season in the late 1930s and into the 1940s depended on phases of the moon! In the three weeks of darkness each month from August to February, Monterey&apos;s skippers located acre-sized schools of sardines by a fluorescent green "flash" on the ocean surface in the darkness caused by the turbulence of their feeding near the surface of the ocean. The week of the full moon each month, when the green flash could not be seen with moonlight on the sea, was spent disassembling their cotton cord purse-seine nets, boiling them of the damaging fish acids that would otherwise digest the net, and re-sewing them back together to start fishing again with the waning moon. 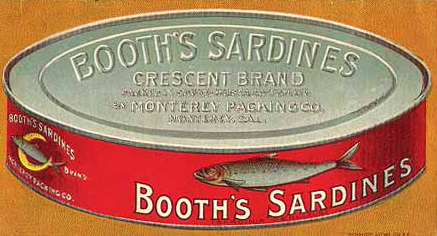 The early hand-made oval salmon cans that became Cannery Row&apos;s world-famous icon for sardines were filled with "French fried" sardines and then lids were hand-soldered closed. 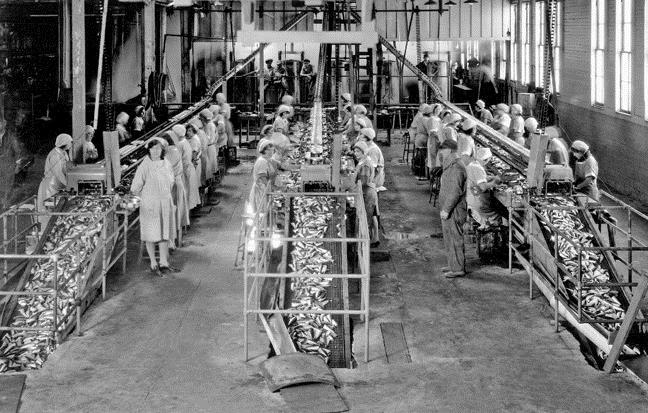 Just before WW I, the process changed to pre-cooking with steam and then sealing fish and condiments in cans (done by machine by then) and pressure cooking sardines sealed in their cans in huge horizontal pressure cookers called "retorts." 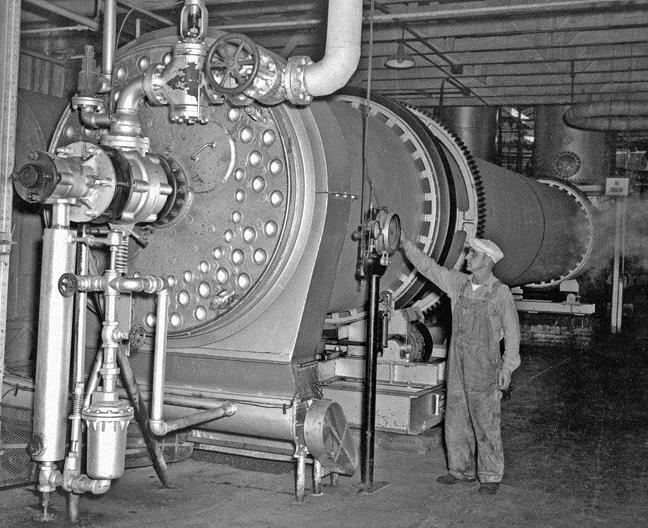 The ugly truth about Cannery Row is that annual landings of over 200,000 tons, roughly 2/3 of Monterey&apos;s sardines never saw a can at all: in a process called "reduction" they became fish meal and fertilizer after being ground, centrifuged for their oil, the "cake" then roasted in huge gas-fired rotary kilns with a resulting gut-wrenching smell for which Monterey became famous in the saying, "Carmel by the sea, Pacific Grove by god, and Monterey by the smell!" Finding Steinbeck&apos;s Cannery Row. It&apos;s out there, but under a vibrant veneer of tourism-based commerce that can tend to obscure the realization that about 90% of John Steinbeck&apos;s 1945 classic "Cannery Row" is true: the people were real and the places in Steinbeck&apos;s "fiction" are still out there to be sought and discovered. 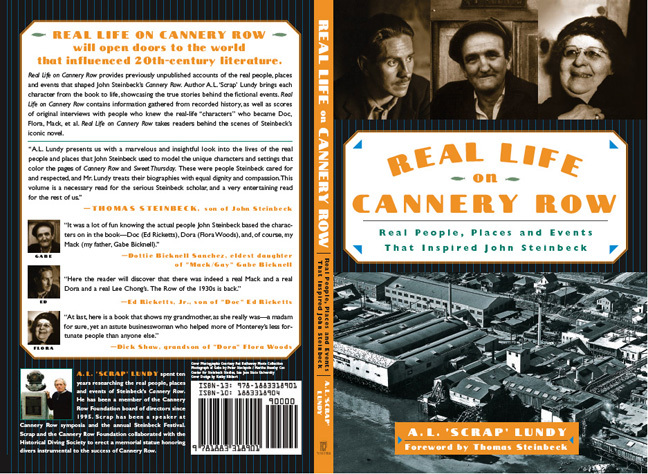 For a definitive guide to what and who was real, and where Steinbeck&apos;s scenes are, my great friend and colleague Scrap Lundy&apos;s REAL LIFE ON CANNERY ROW makes a page by page locator for the real--and the often only slightly fictional people and places of Steinbeck&apos;s old Cannery Row. "CANNERY ROW, The History of John Steinbeck&apos;s Old Ocean View Avenue" with over 200 spectacular archive photographs from the Pat Hathaway Collection. You can find my history at selected shops on Cannery Row, area bookstores, Amazon.com, or signed copies with sardine label bookmarks directly from me at The History Company. I also specialize in presenting customized PowerPoint welcome and meeting enhancement historic presentations of Cannery Row and Monterey County history... Including the many secrets and obscure treasures waiting your discovery on "America&apos;s Most Famous Street." Please keep and eye on this blog for more from The History Company, a proud member of the Monterey County Convention and Visitors Bureau.